We often deploy Vipre anti virus. Had a customer that needed the scan stopped till their work was done. In order to disable the scan I needed jump on their server, locate the machine I wanted to suspend scan, and went to scan and selected stop scan. Always give credit where credit is due, so it is not nice to hide this tagline when publicly using Chronoforms. In my case it is a testing environment and I just wanted to see if it can be done. We had a user that suddenly couldn’t open any local or networked PDF files. I uninstalled, ran CCleaner, Adobe’s after acrobat cleaner, restarted the machine, and finally re-installed Acrobat. Same error came up. This issue was solved by uninstalling EMET 5.1. Not really what I wanted to do but the user had to get work done. Going to follow up with Adobe for a better solution. The following link pointed me in the EMET direction. Hope this helps someone else out there…. Here is an old trick that I always forget how to do, so I am posting this to help myself remember and I hope it helps someone else. 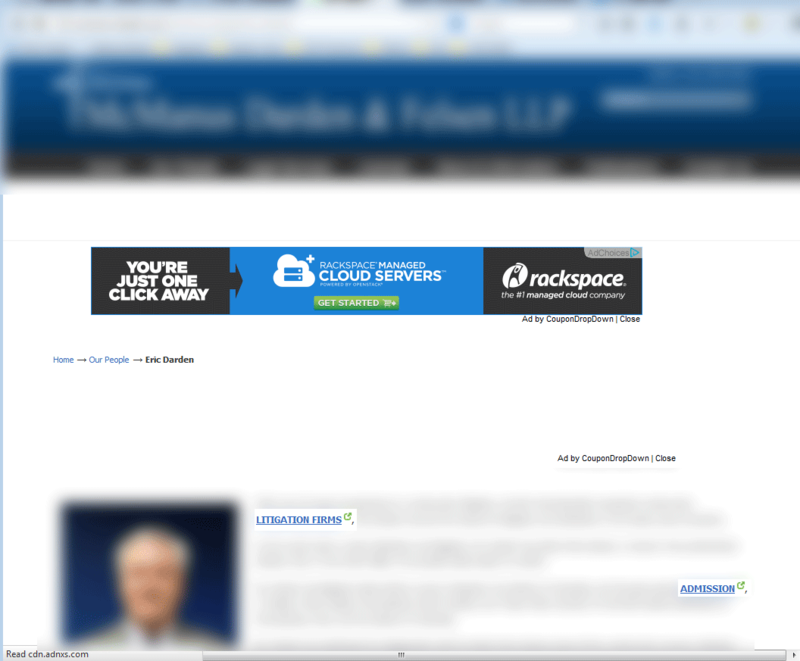 In the browser URL bar put in “site:yourdomain.com” or what ever your fully qualified domain name is. You just have to remember the “:” between site and your domain name. I was considering this Cross-Site Scripting, but the code wasn’t malicious is was just leading back to another site selling their services. The term SEO poisoning makes more sense. The goal of this poisoning is to increase the rankings of the company performing the action by embedding links into a legitimate site and linking back to their site. Link backs are part of the matrix Google uses to rank your site. The links are often displayed off screen so webmasters are usually unaware of the poisoning even happening. Fortunately some of the writers of the plugins are aware of this technique are incorporating tools into their plugins. Had a customer’s website blocked by our internal firewall. They were running WP Antivirus Site Protection plug-in. It listed the following files. Deleting this out is supposed to help. Here is a good article on this issue. Customers WordPress site got hacked. They use Network Solutions as their host. Network Solutions took their site offline. We had to delete all the WordPress files, upload a clean version, and put their content and theme back. After that the site was back up and running. I reviewed the site to make sure the permalinks didn’t cause a problem. On one page there were banners ads showing up. The issue turned out to be a form Cross Site Scripting or SEO poisoning. There was a database entry that had the extra text in it. Here is the text below. There were multiple entries under this title. I used the source to figure out the actual page is was effecting. It was entry 361. There were approximately 20 revisions, but it was the original 361 that took the script off the site. It was in some revisions but not all.